The headlights are an important part for your vehicle to your safety. Headlights serve the purpose of illuminating the road ahead to provide visibility for you. It also helps to make you visible to others around you. 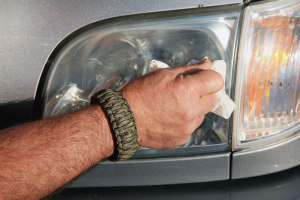 Good headlights can help reduce the chance of an accident and allow you to see what is on the road ahead. This is beneficial if you are driving at night or if it is poor weather. You can also bring the vehicle in and we can inspect the headlights for you.